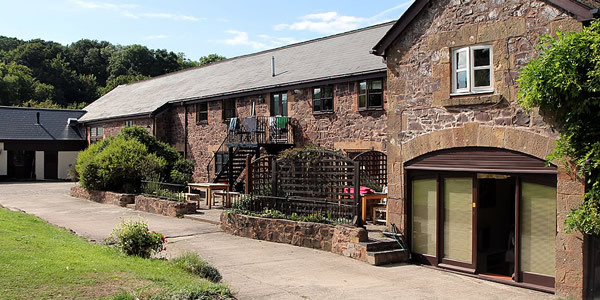 The Granary Apartment and Mill House are luxury three bedroomed barn conversions with lovely views across the duck pond and fields to the Quantock hills. The Granary is spacious yet cosy and is comfortably and stylishly furnished with exposed beams and other original features. The apartment comprises of a kitchen, hall, large living/dining room, double bedroom, two twin bedrooms, bathroom with toilet and shower room with toilet and there is a small balcony with table and chairs. The kitchen has a washing machine, dishwasher, microwave, fridge and small freezer. 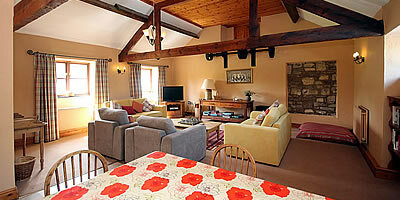 The Courtyard Barn is a wheelchair friendly, two bedroom barn conversion with underfloor heating. 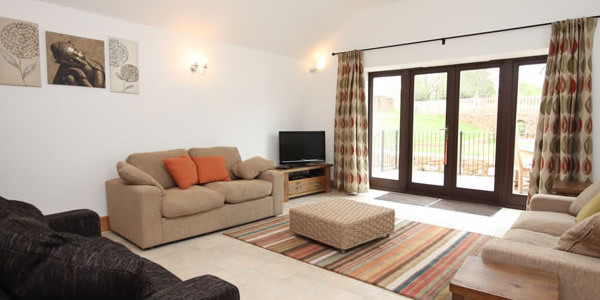 It is furnished in a relaxed, modern style and is tiled throughout. Both the fully fitted kitchen and large living room have double doors which provide access to patios with table and chairs. Bed linen is provided.